Because Hawaii is one of the most popular destinations in the world, the hotels are near capacity year-round, and the hotel rates are very high. However, the following special arrangements have been made for PICMET’16 guests at Waikiki Beach Marriott Resort and Spa. ROOM RATE: The special room rate for conference attendees is $199 (+ tax) per night for single or double occupancy in a room with partial ocean view room. “deluxe ocean view” for an extra $130 per night, based on availability. 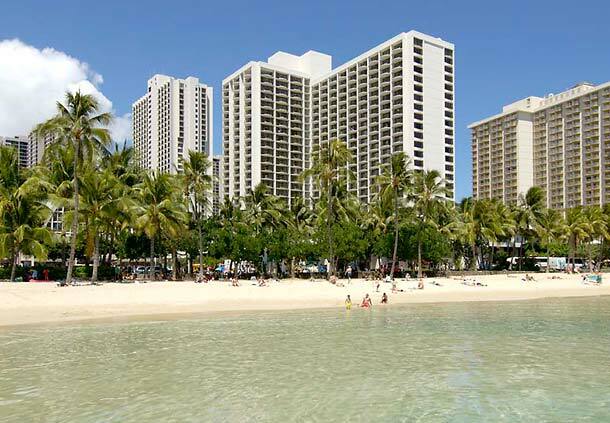 RESORT FEE: Hotels in Hawaii charge an extra $30 (+ tax) per night “resort fee”. This is mandatory and in addition to the room rates, but it is waived for PICMET guests. (Please note that the resort fee gives complimentary high speed Internet access, fitness center access, fitness classes, cultural classes, local calls, up-to 60 minutes of long distance calls, local newspaper, up to 20 pages of faxes, free DVD rentals, complimentary photo sessions and discounted paddle board lessons). If any of the PICMET guests would like to have these amenities, they can still pay the optional resort fee. We strongly recommend our guests to join Marriott Rewards if they are not already a member of that program. CUT-OFF DATE FOR PICMET RATES: The special PICMET rates are available for reservations received by the Marriott until 4:00 p.m. HST, Monday, August 1, 2016. Please make sure to reserve your room as soon as possible. We expect the rooms to be sold out quickly.